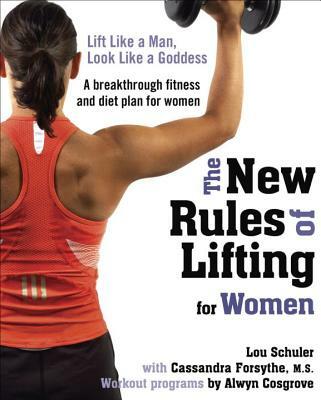 Lou Schuler is a National Magazine Award-winning journalist, a certified strength and conditioning specialist, the author of popular diet and strength-training books, and a dedicated blogger. He has written and edited Men's Fitness, Men's Health, Men's Health Muscle, Men's Journal, and other magazines. Alwyn Cosgrove is co-owner, with his wife Rachel, of Results Fitness in Newhall, California. He is a professional member of the National Academy of Sports Medicine and the American College of Sports Medicine, among other organizations, and is a frequent contributor to a variety of magazines, including Men's Health and Men's Fitness. Cassandra Forsythe, M.S., is a doctoral student at the University of Connecticut, studying exercise science and nutrition. She is an expert consultant for fitness and nutrition media, including Men's Health, Fitness Rx for Her, and Fitness Rx for Him.